Samina Sleep is the only mattress designed to mimic the layers of the human body! The SAMINA Sleep System featured as a sleep Biohack in Dave Asprey's latest Book "Game Changers. What Leaders, Innovators, and Mavericks Do to Win at Life". Sleep is essential for the wellness of your mind, body, and soul. It’s your internal fountain of youth and a key part of your wellbeing. Dare to dream about feeling peaceful and balanced. This is the Samina Sleep experience and what it feels like to sleep beautifully every night. Set your mind to sleep mode and dare to sleep healthy! Feel the wave of Goodness while you sleep and wake up better. 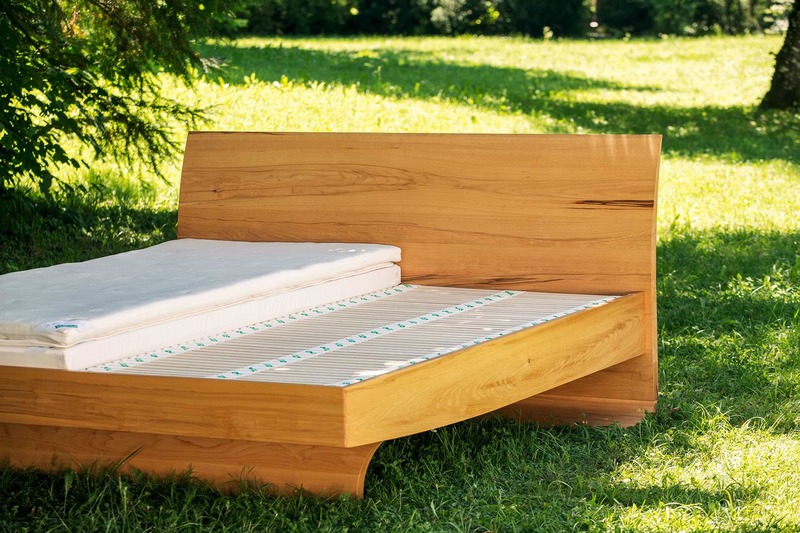 This organic bed promotes beautiful and healthy sleep with natural sophistication. Layers assure all of your sleep needs are met. Natural climate-regulation for temperature and sweating; comfort and circulatory support; and, many tell us, the best back support. 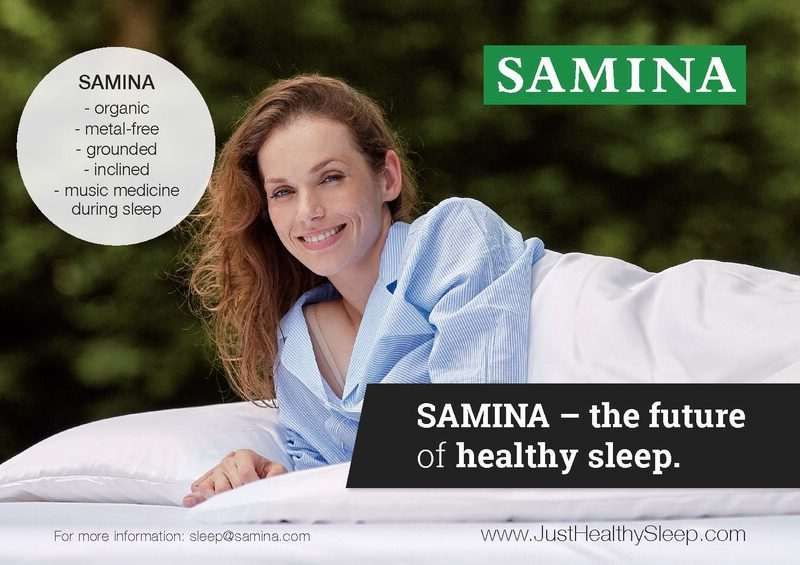 Dare to dream about healthy sleep with Samina. Bring the Outdoors Inside. Rewild yourself and connect with nature without leaving your bed. SAMINA only uses sensible, natural materials. No screws, no metal, no synthetic materials, no chemical additives. Experience what it feels like to sleep beautifully and naturally every night. SAMINA is proud to maintain a zero-carbon footprint from sourcing through production. In addition to other European product certifications, SAMINA North America is also a Green America Certified Business. Wellbeing is a total human condition - physical and mental and spiritual. SAMINA is no ordinary mattress; it is an extraordinary system of layers each supporting your and your sleep needs. With customizable options, the SAMINA healthy sleep system offers a naturally therapeutic solution for multiple sleep issues and body pains like no other bed. Dare to sleep your best sleep. 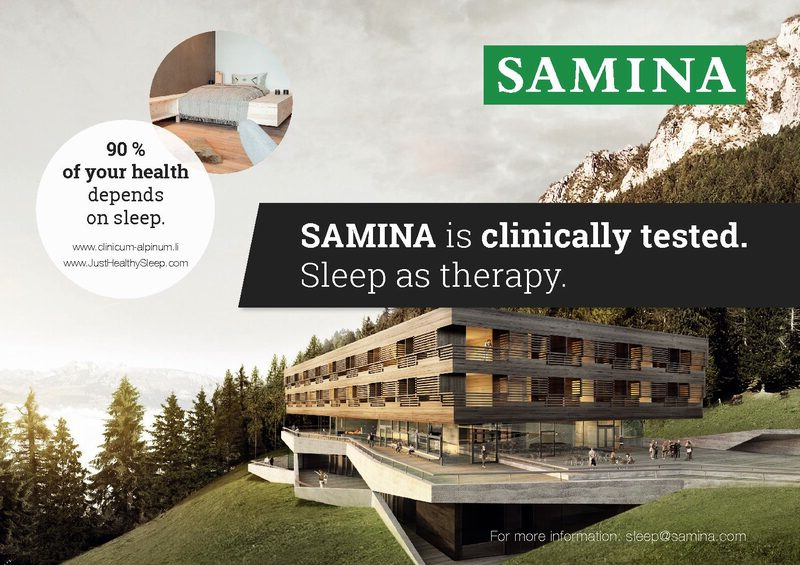 SAMINA understands that sleep is the most important part of living a healthy lifestyle. Without proper body comfort while sleeping, people don’t function to their true potential during the day. 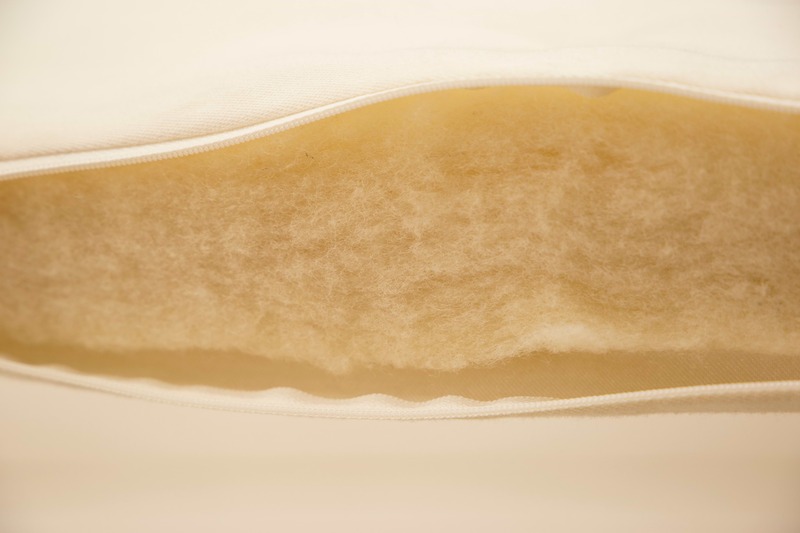 The layers of the SAMINA sleep system includes from top to bottom – Climate-regulating wool pad topper; EMF-mitigating Lokosana® grounding pad (optional); comforting and climate-regulating natural latex mattress; and orthopedic flexible slats. Each layer is there for a specific purpose to support your body’s needs so you can enjoy a deep, restful, restorative sleep. Additionally, SAMINA offers orthopedic pillows and duvets filled with natural, bioactive materials to balance your complete sleep. Incorporating what we now know for a natural good night’s sleep, the SAMINA healthy sleep system is the ideal organic mattress solution. When compared to your body’s sleep requirements, you will understand just how inadequate a single layer (or mattress) is for supporting its needs. Host of the ReWild Yourself Podcast, founder of Sur Thrival, a permier line of food-based nutritionals; writer, public speaker, entrepreneur, lifestyle pioneer in the sphere of human health, personal development, and strategic living & SAMINA Sleeper. We offer the finest organic bed frames to complement SAMINA healthy sleep systems. What is an organic bed frame? It is one made from 100% natural materials like hard wood and finished with organic oils, not synthetic varnishes or paints. It is also masterfully created so that no metal whatsoever is in the construction. Metal has proven harmful in your bed and can irritate the earth’s magnetic field and interrupt your natural Circadian sleep rhythm. As the modern world becomes more aware of how we impact and damage our environment and how we pollute ourselves, we logically want a more organic and eco-friendly world from our food to transportation to power sources like solar energy. It’s been a natural progression for people to want organic households, too. SAMINA has built a relationship with the Italian company Luxlet to offer stunning and contemporary metal-free bed frames. No metal in the joints means less EMR and a healthier sleep. Claus Pummer was born in Germany where he trained as a Master Cabinetmaker. Living and working in Switzerland where he earned a Master’s Degree in Furniture Design and Manufacturing, he perfected his skills. An entrepreneur at heart, he started his own woodworking shop in Germany then relocated to Canada where he immigrated in 1998. Denise Pummer supports the marketing efforts and customer care including affiliate relations for the US operations. Her background as a human resource executive who managed employee benefits plan gives her unique insight into the deteriorating health of Americans and how sleep deprived the average American employee is. As people dig into the layers of the Samina Sleep System, they discover that the BUZZ is REAL! Learn more about how this unique sleep system has transcended ordinary luxury mattresses. Today, true luxury is more than just what looks or feels good. It is also about how much good it does. Samina has paired the science of sleep with the holistic qualities of the human form. This powerful combination incorporating non-toxic metal free materials has made the Samina mattress the last mattress you will ever need. Dave Asprey, the “Father of Biohacking”, has a new book release on December 4th and we’ve had a sneak preview. We received a preview courtesy copy because he mentions the work of SAMINA founder, Prof. Dr. med h.c. Günther Amann-Jennson, a game changer himself in the world of sleep. Luke Storey presents: The healthiest sleep in the world. Host Luke Storey brings you the most thought-provoking interviews with the biggest experts in the fields of health, spirituality, and personal development. Samina Beds provide possibly the highest end sleep experience possible. Because they pay attention to every little detail, even things you wouldn't know make a difference. The result is an amazing night's sleep like no other. The holistic and metal free design has been proven to remedy back pain, relieve symptoms from allergies and other breathing ailments, and to improve deep sleep for optimal benefits. Sleeping inclined with the head slightly above feet can also transform the body’s natural systems improving blood pressure regulation and aiding in brain detoxification. This eco-friendly product is also designed to include a grounding pad to re-align the body, protect from EMF frequencies, and increase oxygenation. The SAMINA Sleep System experience allows for your body to get back in touch with it’s natural rhythm. The time is now to be your most productive self…claim your greatest night’s sleep and dare to see your dreams come true. 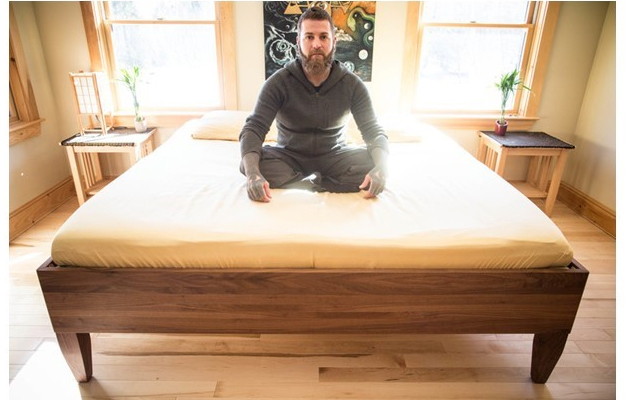 This eco-friendly mattress system also includes grounding properties to realign the body, and protect from EMF frequencies with the addition of the supplementary grounding pad. EMFs are wireless energy waves that surround electronic devices. Specifically, these are artificial EMFs since they’re created by human technology. Hopefully, now that you know what EMFs are and their effects, you can apply this knowledge to keeping your bedroom radiation-free. We, at Samina, are happy to endorse healthy sleep as we are committed to creating bed products that can help fully realize this ideal. To ensure an optimal recovery of the back, the spine and the muscles, the ideal sleeping base should support the body just as if it was standing up. The SAMINA healthy sleep concept fulfills this criterion perfectly thanks to the patented construction of the double-sided, free-floating SAMINA slat frame. The slat frame supports and relieves the body and thus ensures a constant pressure between the sleeper and the base. 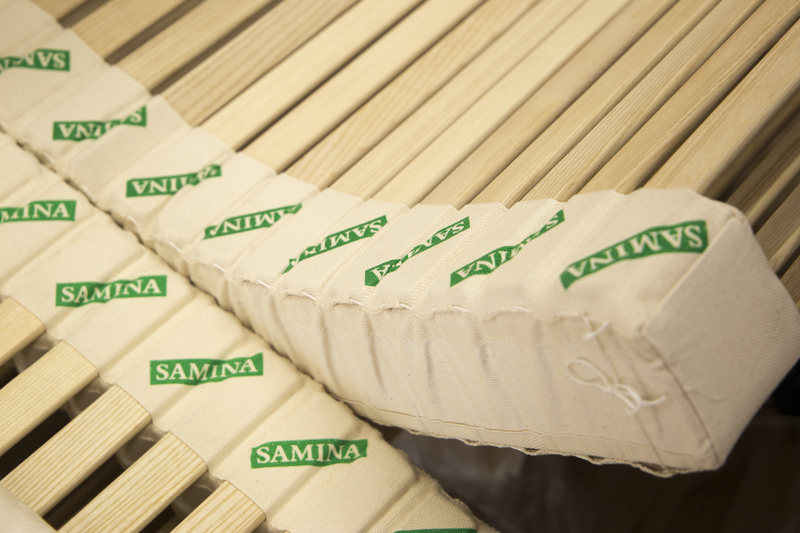 The materials used at SAMINA all meet the highest quality standards – from the extraction to the processing of these sensitive and valuable raw materials. Sheep’s wool not only has an unmistakable smell, the properties of this untreated and natural fibre are also unique. The sheep’s wool topper makes the bed climate warm and dry and creates a balance between room and body temperature. 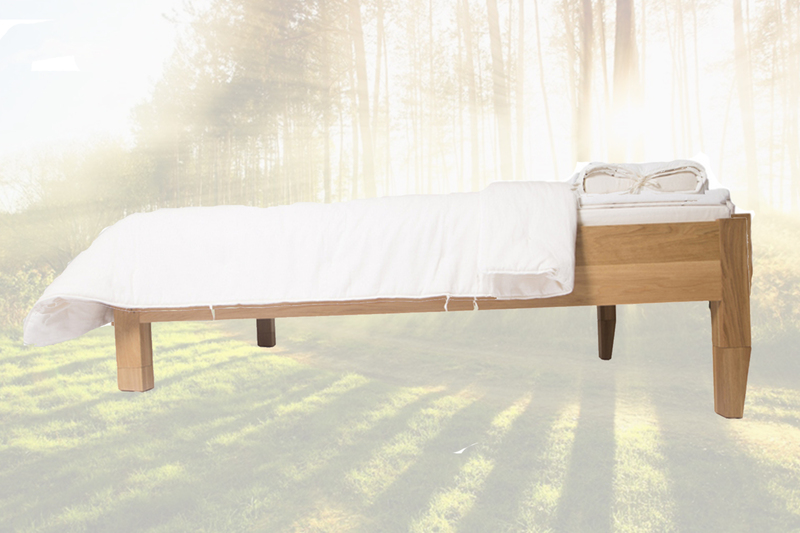 SAMINA continues to innovate healthy sleep products using science-based data and one of the most recent developments is the newly patented slant bed called the SAMINA Gravity Inclined Bed. But in order to understand our excitement, you have to know the science and research behind a slant bed and inclined sleeping. Intracranial pressure is increased when sleeping horizontally.